When Louis was writing down in his journal, he paused and thought about what he just wrote down. He bit his bottom lip and continued writing down his feelings about the pregnancy while he swung his legs back and forth. ... and I guess I&apos;m just scared. The omega ended his sentence with a full stop then leaned back against the leather chair and looked up at the ceiling. He rubbed his baby bump up and down gently for a moment before he went back to writing. Ever since I knew that having triplets could lead to a possible miscarriage, I have been trying my absolute best to keep them safe. The car accident just proved that I can&apos;t control some situations and that scares me. Louis scrunched his face up in slight pain and he decided to stop writing for now since his back was aching. He kept the journal back in the drawer and locked it as always before leaving the room with a hand on his lower back. On his way over to their bedroom, he saw Harry leave his office while rubbing his face tiredly. Louis made his way over to him and said softly, "Done with work?" and wrapped his arms around him while his baby bump was in between them. Harry was startled for a moment as he took his hands from his face and said, "Hey, you should have been asleep," then checked his watch that was resting on his wrist and added, "It&apos;s 4:02 a.m., baby, you shouldn&apos;t have stayed awake." Louis shrugged lightly then he felt his alpha&apos;s strong hands massage his lower back and sighed in relief while resting his head on his chest. He mumbled tiredly, "I couldn&apos;t fall asleep, I&apos;m sorry." Harry held his omega close in his arms as he walked them to their bedroom and said gently, "Don&apos;t apologize, I was just worried since I expected you to be asleep," then helped his omega to bed before he stripped off of his clothes. The alpha went to the closet in only his boxers and wore a jumper that he picked out. He got under the covers with his pregnant omega and spooned him while covering them up with the warm blankets. Louis leaned back into his warm touch with his eyes feeling heavy so he shut his eyes and whispered, "We love you." Harry smiled against his neck as he rested his large hand on top of his omega&apos;s baby bump and said, "And I love the four of you so much," and pecked his neck. Before they could fall asleep, Louis winced once he felt their babies kicking. Harry felt them kick too since he had his hands on top of the baby bump so he whispered soothingly in his ears, "Shh, it&apos;s alright," and rubbed over his baby bump gently. Louis breathed in his alpha&apos;s scent to calm down and once he did that, the babies slowly stopped kicking. Being around his mate always helped but when he was away, the situation rarely subsides this easily. They both fell asleep with his alpha making sure that he was alright before he fell asleep himself. The next day, Harry was the first to wake up even though they both slept late. He took a shower and picked up the clothes that he threw on the ground the night before to keep them in the laundry basket. He went to the laundry room and started dividing the clothes so that they don&apos;t get mixed up. The alpha went and cooked breakfast which included pancakes, waffles, peanut butter sandwich with bananas and some Yorkshire tea. He made sure that he spoiled the omega so he invited Zayn, Liam and their omega, Niall over for breakfast. When they invited themselves inside, the laundry was done so Liam became in charge of the kitchen while he went to put the clothes in the dryer. Liam did the panffles that the omegas seem to adore while Zayn went to set up the table in an organized manner. Niall went upstairs by the elevator and into his best friend&apos;s bedroom to wake him up since he hadn&apos;t seen him in a while. When he got into the bedroom, Louis was in the middle of the king sized bed with his small, delicate hand on top of his baby bump. The blonde omega sat down next to him on the bed with a smile on his face and whispered, "Hey there, wake up," and moved his fringe out of his eyes. Louis scrunched up his pointy nose in his sleep and mumbled sleepily, "Five more minutes," and nuzzled his face into the warm pillow. Niall raised his eyebrows in amusement and said, "Well, can I at least cuddle you for the time being?" Louis blinked up at him tiredly with his messy, bed hair and said in his morning voice, "Please." That&apos;s all it took for Niall to get under the covers and cuddle the other omega in his arms. Of course, he left his shoes near the entrance door downstairs but left his socks on since it was cold. After Zayn was done setting up the table, he went upstairs to check on what the omegas were up to since they were late. He knocked on the door before getting inside and when he saw them cuddling, he said softly, "Liam and Harry are done making breakfast, come downstairs before it gets cold." The raven haired alpha was always so careful around omegas and always made sure that they weren&apos;t uncomfortable in any way or form. Niall looked up at him and said, "We will be down in a minute, love," then Zayn nodded before leaving the room and closing the door slowly. Louis looked up at the omega and said, "I missed your cuddles," then he slowly made his way out of bed before going to the toilet to brush his teeth, use the loo and wash his hands. Once they were both downstairs, Harry went over to him to peck his lips and whispered in a worried manner, "Did you have a nice sleep?" Louis nodded as he looked down at his baby bump and said softly, "We did, thank you," and smiled as he held him to the chair so that they could sit next to each other. When everyone was in their seats and already eating their food. 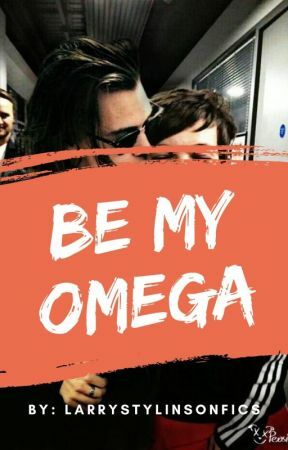 Harry was confused for a moment as to why his omega wasn&apos;t sitting on his lap like usual so he had to ask. "Why aren&apos;t you sitting on my lap?" while rubbing his thighs up and down slowly. 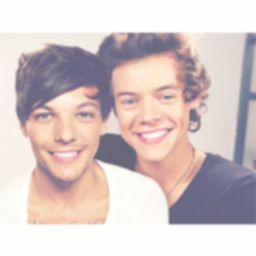 Louis froze before he acted normal with a smile and said, "Oh, I didn&apos;t know that you wanted me to," and shrugged. Even though the alpha could see right through him and knew that he wasn&apos;t telling him the truth, he just didn&apos;t want to disrupt his breakfast. His omega eating to feed himself and his pups is more important. Zayn overheard their conversation unintentionally like the rest of them did but no one said anything except for him. He joked, "He already got his cuddles from Niall," and continued feeding his pregnant omega. Louis nodded and said, "That&apos;s probably it, yeah, Niall does give amazing cuddles," and continued eating. Niall had his mouth full so when he swallowed his food, he said, "My cuddles are the best, heals your soul and all that." Harry still didn&apos;t think that it was the reason but he just went along with the joke because it made his omega smile and said, "Oh well, I guess I just got replaced," and faked a sad sigh. Louis smiled at his alpha and leaned close to kiss his cheek then whispered in his ear, "No one will ever replace you, my darling, you&apos;re my one and only just like you engraved it in my wedding ring," before pulling away and continued to eat his food while rubbing his baby bump. Harry smiled at him fondly before his eyes landed on his petite hands that were placed on top of the baby bump. He looked down at his food and continued eating, feeling like the luckiest man in the world. But no one knew the truth that Louis just felt insecure of his weight that he might embarrass himself if he got pushed away for being too heavy. The thing that Louis didn&apos;t know was that Harry loved every inch of his skin and worshipped it with every ounce of his body.